The Scholastic Book Fair was a success! Thank-you! All proceeds will be used to purchase English and French books for our school library, as well as, purchasing STEAM learning zones, for our BT Library Learning Commons. Sunday, January 27, is Family Literacy Day. Family Literacy Day was first introduced in 1999, by ABC Life Literacy Canada. The goal or purpose of Family Literacy Day is to raise public awareness of the importance of Literacy in the Home. For more information, about Family Literacy Day and for a listing of Family Literacy Day events and activities, please visit the website: https://abclifeliteracy.ca/family-literacy. The Buck-a-Book sale continues until we are sold out of gently used books. 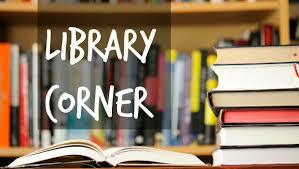 Students may bring in, a loonie to purchase a book, during their scheduled library time. Thank-you for your continued support. In January, our Grade 6 classes will engage in a full day workshop with The Director’s Cut! Through collaborative, hands on digital media, students will use the latest equipment, materials and support from professionals. All students need, for this workshop, is their creativity and imagination! The dates are: Monday, January 28, for Mme. Serrani’s class; Monday, January 29, for Ms. Rocca’s class and Wednesday, February 6, for Mr. Ziorli’s class. The Forest of Reading is Canada’s largest recreational reading program. The Forest of Reading celebrates Canadian books, publishers, authors and illustrators. Each year, over 250,000 students participate in the Forest of Reading, whether in their school, through their school library or through their local/community public library. The Forest of Reading promotes a Love of Reading, while creating a meaningful literary experience for both passionate and reluctant readers, of all ages. In this program, students have the opportunity to read newly published fiction and non-fiction books. Students who read all the books listed on their Book Club Reading Passport, enter a ballot—nominating their favourite book for the 2019 Book Award! The Blue Spruce—Kindergarten to Grade 3 students. The Silver Birch Express—Students in Grades 3 & 4. The Silver Birch—Students in Grades 5 & 6. The Red Maple—Students in Grades 7 & 8. Le Prix Peuplier (French picture books). Le Prix Tamarac Express (French shorter chapter books or mature picture books). Le Prix Tamarac (French chapter books of 100-250 pages). For the Forest of Reading Program, the school purchases the books for each of the Book Clubs. At the end of the Program, the books are added to our school library book collection. This Program costs $1,220.45 and is paid for by the proceeds of our school fundraiser.